You must forge straight ahead, treading the path that is nearest in order to live the first day well, without worrying about the final one. Bear in mind what I am about to tell you: too often we spend a lot of our efforts trying to be good angels (of Heaven) and forget all about becoming good men and women (in this world). Our imperfections will accompany us to the grave. We cannot walk without touching the ground; and if it true that we must not go to sleep or sit down and do nothing, it is also true that we must try to fly without wings. I recently found a website that showcases some amazing murals from the Conception Abbey in Missouri. I usually happen upon one or two of them whenever I'm looking for pics to illustrate my blog posts. Finally, I was smart enough to actually bookmark the site so that I can see them all. 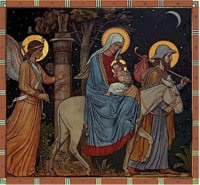 They really are wonderful depictions of the lives of Jesus and Mary. Here are a few of my favorites. Click on each one for a larger view, and for an explanation of what is taking place in the mural. In case you haven't noticed, Blogger implemented a new feature so that now after you make a comment on one of my blog posts, you can choose to receive an email alert any time other people comment on the same post. This finally brings Blogger up to speed with Haloscan, which has provided that functionality for a while now. I'm psyched about this new feature b/c now it will be easier for you all to keep up with conversations that take place in my comments. Also, sometimes people ask questions or incite debate in my comments and then they forget to come back for my reply. With this new feature, you don't have to worry about forgetting to return here. Ultimately, this brings visitors back to my blog, and I'm always cool with that. To receive email updates of any comments that have been made after yours, just check the box that says "Email follow up comments to:" underneath the text box where you type your comment. I would encourage everyone to use this new feature from now on. I uploaded three new handouts to the "My Files" application towards the bottom of my sidebar. I used these during recent RCIA sessions and I thought you all my find them useful. The first one, "Mary as the Ark of the Covenant" is basically a chart of the Scripture passages that show the parallels between the Ark of the Old Covenant and Mary. These parallels point to her as the Ark of the New Covenant, and like the ark of old: pure, undefiled, and made of the finest material. The second one, "Scripture and Tradition on the Infallibility of the Magisterium" is pretty self-explanatory. The third one, "Scripture-Tradition-Magisterium" is a short, one-page Scriptural defense of the Catholic rule of faith. We depend on all three, not just on Scripture, and Scripture itself supports this "three-legged stool" (as it is often called). I hope these handouts prove to be helpful. Eagles have strong hearts and great power of flight; yet their eyesight is even more greater than their ability to fly, and they extend their vision much more quickly and much farther than their wings. So too with out souls: since they are animated by a natural inclination toward God, they have far more ability to see how worthy of love God is than strength of will to love Him. Tomorrow (Tuesday, Oct. 30), my dad, Perry Hardesty, will undergo a cardiac catheterization to investigate an artery that his doctors are concerned about. Apparently, it's the one that delivers the majority of the oxygen to the lungs. Ten years ago, when he was 40, it was 20% blocked. His doctor is afraid that it may be much more blocked now. If it is really blocked, they can either try to push the blockage out of the way or put in a stent. My dad also said something about a balloon-type of thing that would open up the artery/vein more. I'm obviously not a doctor, so I apologize for this imprecise explanation. I hope that it is enough information for you to be able to pray well for him. I've been told that it's a very common procedure and nothing to be worried about.......but I'm still worried about it. Below are some prayers that you may wish to use, or you can simply speak from your heart (which I suppose is quite appropriate considering the intention). He has to be at the hospital tomorrow at 11:00am and then the procedure should be sometime around 1pm CST. Thank you very, VERY MUCH for your prayers. Loving Father, I entrust [Perry Hardesty] to your care this day; guide with wisdom and skill the minds and hands of the medical people who minister in your Name, and grant that every cause of illness be removed, [he] may be restored to soundness of health and learn to live in more perfect harmony with you and with those around [him]. Through Jesus Christ. Amen. Lord, look upon [Perry Hardesty] with eyes of mercy, may your healing hand rest upon [him], may your lifegiving powers flow into every cell of [his] body and into the depths of [his] soul, cleansing, purifying, restoring [him] to wholeness and strength for service in your Kingdom. Amen. 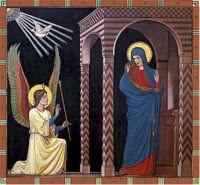 Here is this week's poll question: "Do you pray to your guardian angel?" To vote, see the poll in my sidebar. This week's question, while related to last week's question, is often a very different thing for Catholics. It seems that most of us have our favorite saint that we pray to, but we don't give a whole lot of thought to our guardian angel. Some people don't even know what an angel is....or, they think they do, but they really don't! Angels aren't chubby little babies with curly blonde hair, nor are they skinny princesses in long, flowing dresses. We don't become angels when we die, nor should we want to. Angels don't dance in fluffy clouds, and they don't play harps or flutes either. They are pure spirits, noncorporeal. There was a fall among them, just as their was among mankind, and those who did not remain faithful were banished from heaven with Lucifer, their leader. The heavenly angels exist to give worship and adoration to God, and to do his will. In particular, a guardian angel is assigned to every human being, to protect him and guide him on the path that leads to God. As Eusebius puts it: "Fearing lest sinful mankind should be without government and without guidance, like herds of cattle, God gave them protectors and superintendents, the holy angels in the form of captains and shepherds" (Dem. Ev., 4, 6). They also pray with us, intercede for us, and take our prayers to God (cf. Rev 5:8; 8:2-4). Being such powerful aids, it is a shame that they are so misunderstood and ignored. With my mind recently preoccupied by the saints, I couldn't help but say something about them. I too am guilty of neglecting my guardian angel. But, that they are real and we all have one is an article of our faith. We might as well make the most of them, these glorious creatures who always behold the face of God (cf. Mt 18:10). It's good to see that most of you pray to the saints. They are an amazing gift to us. With All Saints' Day (Nov. 1) and All Souls' Day (Nov. 2) right around the corner, may we petition the saints with confidence and humility, and pray for the souls in Purgatory who long for the prize that awaits them. For more on the communion of saints, go here. For more on the heavenly angels, go here. We have the liberty to do good or evil, but to choose evil is not to use but to abuse liberty. Let us renounce such misguided liberty and subject our free will forever to the rule of heavenly love. If our souls should ever will to use their liberty against our resolutions to serve God externally and without reserve, let us generously sacrifice this free will and make it die to itself so that it may live in God! God is greater than our heart, and our heart is greater than the world. So when our heart in meditation prepares itself to do all it can in the service of God, it works marvels and raises our actions to a degree of uncommon perfection. It is determined to serve the Lord and honor Him, to help our neighbor, to mortify our internal and external feelings and carry out other good resolutions. Now all this perfection, even though it is not in proportion to the greatness of God, is greater than the world and all human forces and exterior actions. What does it mean to love God with all one's heart? It means to love Him with the totality of our love, loving other things little in comparison. To love God with all one's mind and with all one's thoughts is to keep our intellect occupied in thinking of Him with a pure and simple devotion. To love God with all one's strength is to love Him with a firm love, one that is constant and generous, that never allows itself to be overcome by tribulations but is forever persevering. To love God with one's whole being is to give ourself and to abandon ourself entirely with our whole existence, so as to remain totally subject in obedience to His love. Thank you for posting Daily with DeSales. Oct 22 is appropriate for me today. Good! That's why I post those excerpts from his works. St. Francis de Sales is a superb spiritual director and apologist. We can only benefit from what he has to say to us. I recently discovered your website and could spend hours (if I had the time) going to all links to everything. I am a cradle catholic who has become disenchanted with the church. In a round about way, I am trying to talk myself into going back to the catholic church. How am I doing this, you ask. Well, in the course of doing a novel challenge, I am using it to convert the main character to Catholicism, which will also give me a refresher course and convince myself. My question for you is (since I am overwhelmed by all the choices on your site) what book(s) would you recommend I read that will convince me to come back. God has inspired me to join this challenge and any suggestions will be greatly appreciated. I'm sorry that the links are so overwhelming. Believe it or not, my sidebar used to be a lot worse. I didn't always have the drop-down menus, so every link was just listed in the sidebar, one after the other. Now THAT was overwhelming! My current sidebar is more manageable, but I can still see why you would feel that way. Just take it a little bit at a time. You have a lifetime of opportunities to read everything I have provided. And I suppose this is fitting, since Catholicism itself is a journey of a lifetime and a topic we can never exhaust. I realize that there's a lot there too, but these really are some of the best books available for anyone making an initial inquiry into the Catholic faith. I could list many more, but that should keep you busy ;) Perhaps my readers will have some suggestions as well. Let me know if you have any questions along the way. Good luck to you! On certain occasions it is necessary to speak to people whom you heartily dislike. Then you must do so with greatest respect and esteem. This point is of such great importance for the perfection of our souls that I would willingly write these words with my blood. Should we not show our love for God? Jesus suffered so much for us amid repugnance and adversions! Should we not do the same in similar circumstances? It is necessary that the thorns of difficulties pierce our brain and the lance of contradictions pass through our hearts. We must also drink the gall and gulp down the vinegar, and chew upon absinth and the hemlock because He wants us to do so. James Hastings (assuming that is his actual name) has struck again, only this time on someone else's blog. I have decided to respond to him here. Also see Parts 1, 2, and 3 in our debate. For someone who isn't out to convert, you sure are spreading your message around. Perhaps you are hoping that you'll find a Catholic you can actually convince? On my blog I responded to much of what you have written here. But there are a few new points that I would like to address. To encourage me to pray to the saints, I used to told the story of a man who wanted a job in a factory. Rather than approach the owner directly, he went to talk to his cousin who already worked there and asked him to take his petition to the owner. Or, as a teenager, I was told that if I wanted to stay out late at a party, it was always best to take my request to my mother who would present it to my father and soften the blow! These stories are just variations of the same one you told me about the white house, only with the added information that they were told to you when you were young, instead of being stories you made up to prove your point. It doesn't matter either way. None of them properly reflect Church teaching. If these stories were indeed taught to you as a child, then you have been improperly catechized --which is often the case with people who leave Catholicism. The Church has never taught that Jesus can only be sought indirectly, nor has she taught that prayers to the saints should replace or be more important than prayers to God himmself. You simply will not find such errors in any of her authoritative sources of doctrine. You're tearing down a strawman my friend. 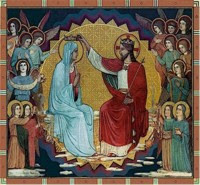 The more we think of God as a stern ruler out to get us, the more we need saints or Mary to take our requests. We don't feel worthy to go directly to God, the Supreme Being, the Infinite Unknowable Creature! The Catholic Church is just as opposed to that type of mentality as you are. She doesn't even use such arguments in defense of praying to the saints. The problem with devotions to saints is while they may give us a warm glow, they really are diversions. When you have a personal relationship with Jesus, devoid of all clutter, you can call God 'abba' - not that you deserve to, but because He wants you to. 40 years as a Catholic and you are still ignorant of what the Church teaches. You are not even engaging our actual arguments. We don't look at the saints that way. The saints in heaven aren't diversions, or obstacles, or clutter. They are role models for a Pilgrim Church, they are the great cloud of witnesses who cheer us on as we run the race for that imperishable wreath. As holy men and women who have already won the prize, they are rooting for us with their prayers to God, so that we may receive it too. How could they possibly stand in the way of God when they want nothing more than for us to win the prize as they have? Your analogies, wich you think prove your position, actually make no sense whatsoever in light of what the Church actually teaches. Jesus is as present today as He was when He walked earth. Yes, I ask Christians to pray for me but I don't set up a devotion to another Christian. I admire Billy Graham, but I'll never place flowers before his image. Whitestone - what an invitation! All the rest is diversion. Rom 13:7 Pay all of them their dues, taxes to whom taxes are due, revenue to whom revenue is due, respect to whom respect is due, honor to whom honor is due. 1 Pet 2:17 Honor all men. Love the brotherhood. Fear God. Honor the emperor. As for Billy Graham, what if you were to come upon his grave? Would you not place flowers on it, out of respect for him and the Godly life that he lead? What Catholics do in veneration of the saints is nothing different. Turning to my most gracious and merciful God, I desire to serve Him and to love Him now and forever. But if, through temptation by the enemy or human frailty, I should chance to transgress in any point, or fail to adhere to this my resolution and dedication, I protest from this moment and am determined, with the assistance of the Holy Spirit, to rise as soon as I perceive my fall and return again to God's mercy without any hesitation or delay whatsoever. I can't really say enough about this movie. I saw a pre-screening of Bella on the campus of FUS last semester. Even in unedited form, I got the impression that this movie is truly "art." Sometimes, you walk away from a movie thinking, "It was great and all, but I wouldn't necessarily call it art." Well, Bella is art. It just has that feel the whole time you are watching it. It's difficult to explain to someone who has never seen the movie before, but I guarantee you that anyone who has seen it already will know exactly what I am talking about. With Bella set to hit the theatres this Friday, perhaps the following e-letter from Karl Keating will give you all the incentive you need to go watch this amazing movie, particularly during the second week of release. Late Sunday I returned from Florence, where I was making preparations for Catholic Answers' upcoming Rendezvous, which will be held there in April. A few days before I left on that trip, I met with Leo Severino, one of the producers of "Bella," which opens its theatrical release this Friday. Severino left a DVD of the movie with me. Too busy to watch it before leaving for Italy, I just this morning finished viewing it. It was even better than he represented it to be. "Bella" is an intensely pro-life and pro-family film, yet the terms "pro-life" and "abortion" never appear in it. In no way preachy or propagandistic, the film conveys a strong message that love can overcome brokenness and that old sorrows do not have to be compounded with new sorrows. "Bella" stars Eduardo Verastegui, who is hardly known in America but who achieved fame in Mexican soap operas, and Tammy Blanchard, who has acted in several television shows and who won an Emmy for playing the lead in a made-for-television movie about Judy Garland. And that is all I want to say about the plot, not wanting to be accused of being a spoiler. I do want to say, though, that this is a remarkable movie, in several ways. It won the People's Choice Award at the Toronto Film Festival last year. Severino and the other principals behind the movie thought themselves lucky even to have "Bella" shown at the festival, which often showcases films that go on to win Oscars. They expected nothing because they were movie novices. "Bella" was a first-time effort for the producers, the director, the screenwriters, and for many of the actors. Severino and the others behind the film are devout Catholics, several of them having come to or back to the Church only in recent years. Verastegui, for example, realized that the success he was having in Mexican soap operas was good for the bank account but not very good for the soul. He gave up a lucrative career to partner with Severino and director Alejandro Monteverde (they call themselves the Three Amigos) on a project that all three felt Providence called them to engage in. When Severino was here on October 1, he appeared on "Catholic Answers Live" and talked about the making of the movie. You can listened to that archived show at www.catholic.com. 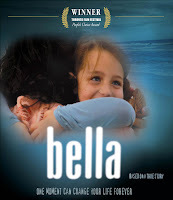 Afterwards, several of us went out to dinner, and during the course of the evening I asked what it would take for "Bella," which is opening this week in 31 markets, to become a nationwide success. Severino explained to us how the system works. "Bella" is set for a two-week run. For it to be picked up for widespread national distribution, it needs to do well at the box office during those two weeks. No surprise there. But distributors and theater chains do not look only at the number of people walking through the theater door on opening night. They also look at the trend line over those two weeks. Many movies do well their first weekend and then attract fewer and fewer visitors over the course of the following days. A movie that is strong on nights one and two but that cannot draw audiences for nights three through fourteen will not warrant the multi-million dollar investment required to have it open in hundreds of theaters around the country. What the money men want to see is whether a movie still draws people the second week. The crowds that show up the first weekend show up because of the publicity surrounding a premiere (many viewers like to be "first" to see a film). The crowds that show up the second week do so because the reviews have been good or because word of mouth has touted the film. If the second week's box office receipts match or exceed the first week's, a movie has a good chance to go national in a big way--especially if it already has awards to its credit (such as the Toronto Film Festival award). "Okay," I said to Severino, "but what does this mean in practice?" He said: "We need to get people to see the film during the second week." The opening weekend is important, but the second week is more important. There needs to be a clear upward trend if large-scale distribution is to happen. I was impressed by Severino. He is intense, devout, and compelled. Like Verastegui, he gave up a lucrative career to work on "Bella." He had been with a high-power law firm in the Los Angeles area. He rediscovered his faith and felt God was calling him to do something more important with his life. I hope he and his partners have much success with this film--first, because it really is a fine production and deserves to be recognized as such, and, second, because, if the movie succeeds, these fellows intend to produce more films of the same high caliber--high both in production values and in serious, morally uplifting content. So here comes my request to you: Go and see "Bella." Take your entire family with you. Take your friends with you, if you have friends. Take strangers with you, if you do not have friends. But do not go during the first week. Go during the second week to help that trend line. To find out whether you are in one of the 31 markets where the film debuts this weekend, visit http://bellathemovie.com/theater/, where you will find a list of cities and, for each city, a list of theaters where "Bella" will be shown. Once you have seen "Bella," talk it up to everyone on your e-mail list, and visit our forums and participate in discussions about the film. Borrowing a line from Mother Teresa, we might say that Severino and the others want to "do something beautiful [bella] for God." I would like to see them succeed in that. Please, go see this movie. Support it in every way possible. Travel great distances if that is what it takes. Some movies are hugely popular and they don't even deserve to be. This movie deserves it, and it will be an utter tragedy if the response at the box office is lukewarm. He who looks upon his neighbor outside of the breast of the Savior runs the risk of not loving him purely, constantly or fairly; but if he considers him nestling in the breast of his Savior, how could he help but love him? Who would not put up with him? Who would not tolerate his imperfections? Who would consider him crude or troublesome? But our neighbor is precisely there, in the sacred breast of the Savior, so worthy of being loved that the Divine Lover died for love for him. It looks like my 4-step defense of prayers to the saints has sparked a debate between James and I. Here is my response to his most recent comment. Also see Part 1 (the post that started it all) and Part 2. Thank you for your explanations to my question about praying to the saints. I found your answers very profound - but not convincing! Well, even though Samuel did appear to Saul in 1 Sam 28, and there have been several apparitions of Mary that no doctors or scientists have been able to explain, I never mentioned saints moving between heaven and earth so I'm not sure why you're bringing that up. They don't have to move between heaven and earth in order to hear our prayers anyway, so even if they weren't able to do this, it wouldn't really matter. Btw, no one has ever called me "rather liberal" before! Haha, I guess there's a first time for everything. You give many reasons for praying to saints. I offer just two reasons why I don't. 1. Saints fall in and out of fashion. For example, St George the patron saint of England, has been dismissed by most serious scholars as a figment of the medieval imagination. St Philomena is currently under review - and there are many more in the same catagory. So how is it possible to pray to a saint sanctioned by the church in one era and dismissed in another? Saints may grow and wane in popularity, but they are never de-canonized. Even when it is found that no solid historical evidence exists about the life of a saint, this does not then mean that the person in question ceases to be a saint, nor are Catholics ever discouraged from praying to him. The canonization of a holy man or woman is infallible, and cannot be revoked. 2. I remember hearing the story about a soldier who wanted to speak with President Lincoln. Of course, when he arrived at the White House he was told he couldn't just walk in and expect to speak with the president. He would have to make an appointment with his senator and congressman. He should speak to their secretaries, write a letter and make a request. He left the White House downhearted, clutching a handful of forms and request slips. A young boy saw him and asked what was wrong. When the soldier told the boy, he grabbed the soldier's hand and marched up to the White House gates which opened wide and the pair walked past security. The boy then opened the front door of the White House. He then took the soldier along a corridor and then another and no-one questioned or stopped them. Suddenly, they came to a large door and the soldier just knew that was the door to the Oval Office. The boy opened the door and there was Abraham Lincoln sitting at his desk. The president looked up, saw the soldier then the boy and said: "Robert, son, what can I do for you." The boy smiled at the president and said: "Dad, this soldier needs to speak with you." You see, the Son has direct access to the Father. That's a cute story, but it doesn't really prove anything. Catholics too believe that the Son has direct access to the Father. No one is denying that. Praying to saints does not implicitly reveal some secret belief that we can only gain access to God through the saints, or that Jesus isn't good enough to pray to. Protestants like to assume that, but it's not true. Let me ask you this: If Jesus has direct access to the Father, and, b/c of his salvation, we do to....why do you ask other people to pray for you? Why not just cut out the middle man and pray to the Father, or to Jesus yourself? I imagine you would respond by saying that you do both: you ask other people to pray for you AND you pray to God yourself. Perhaps you would also say that you don't consider the request you made to your neighbor to detract from Jesus' sole mediatorship or your direct access to God. Well, we don't either. The saints are members of the Body just as much as the person sitting in the pew next to you. If I can ask the person in the pew to pray for me, then I can ask a saint in heaven to pray for me too. It all goes back to the syllogism that I provided in my original post. I suggest that you read over it again. I know Catholics who venerate saints, who confuse devotion with worship. They actually do pray TO a statue, touching it like a good luck charm. And how do you know that? Did they tell you that? From my experience dialoguing with Protestants, it's more likely that you saw someone kneeling in front of a statue and you simply assumed that's what they were doing. Such assumptions are dangerous b/c they are based on inference and conjecture, instead of on the actual motivations for the posture. The proximity of a statue to me, in a kneeling position, does not necessarily prove that I am praying to the statue. Kneeling is the posture of prayer. If I wish to pray to Mary, it is often helpful to kneel in the presence of a statue or painting of Mary. Such things can act as visual aids, helping me to focus my thoughts on my prayer to her. The intent is not to pray to the statue/image but to pray to Mary herself, the image being there to help me focus my prayer. Protestants do the same type of thing when they pray clutching a Bible. I've also seen Protestants kneel in front of a Cross in their church and pray. Does this mean they are praying to the Bible or to the Cross? Of course not. It just helps them to focus their prayer when they have these things close to them. Now, in every religion, there are ignorant adherents who unknowingly fall into abuse. So, I'm sure there are Catholics somewhere who actually pray TO statues. But, this is an abuse and it is not the teaching or practice of the Church. To attempt to refute the Church based on the actions of people who are not even following the Church is basically to tear down a strawman, and that's a logical fallacy. I remember standing in Westminster Cathedral, London, the seat of Cardinal Cormac Murphy-O'Connor. 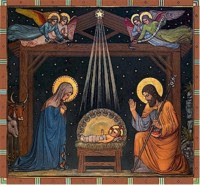 The tabernacle in which Catholics believe is Jesus Christ, body, soul and divinity was looking lonely in the sanctuary. But beside me near a large statue of St Andrew (I think it was him) a queue of Catholics was standing, waiting to touch the foot of this giant plaster statue, whispering a prayer and then bowing their heads, giving the plaster foot a final pat before leaving. Now, if you actually believe the tabernacle contains Jesus, body, soul and divinity, why on earth or in heaven, would you rub a plaster statue's big toe? You would be prostrate in front of the tabernacle. The touching of a statue of a saint is a symbol of the respect and admiration we have for them, as holy men and women who ran the race to completion and won the imperishable wreath. It can be very heart-warming to ponder the lives of these saints, and it is good to appreciate them for being such amazing role models for us. Since we obviously can't hug them ourselves, we make a gesture of appreciation towards a statue or image of them. Again, the gesture is not for the statue, but for the saint symbolized by it. The reason you didn't see a bunch of people rubbing all over the tabernacle is b/c the area around the tabernacle and the altar is holy. It's the place where the priest offers the Holy Sacrifice of the Mass, and it calls for due reserve. The tabernacle is very much like the Ark of the Covenant, which could not even be touched b/c of the Presence of God found within it. Now, don't take from this that Catholics feel that Jesus is unapproachable. After all, when we celebrate the Eucharist, we step right up to his table and he comes to dwell in us in a substantial way. It's just that, out of respect and adoration for his Presence in the tabernacle, we kneel and/or genuflect before it instead of trying to touch it. Also note that, when a parish has an adoration chapel where the Eucharist is exposed in a monstrance, the people will go there to adore Jesus in the Eucharist instead of the main sanctuary (although you could kneel in the sanctuary and adore Christ just as well). So, that could also explain why no one was lined up in front of the tabernacle, although I have no doubt that, as a sign of their respect for the Presence in the tabernacle, they genuflected whenever they walked by it. This is the problem with saintly devotion. It becomes a faith, a religion, a diversion in itself and deprives the masses of a deep, personal and loving relationship with Jesus, the one Mediator with the Father. If Jesus told us to go to Him, why not take Him at His word? More assumptions on your part, my friend. When you ask one of your brothers in Christ on earth to pray for you, does that become a "diversion in itself" that "deprives" you of "a deep, personal and loving relationship with Jesus"? Of course not! Well, the same thing applies here. The saints do not interfere with my relationship with Christ anymore than your fellow brothers in Christ do. We know full and well that Jesus is the one mediator. Trust me, it's the first verse that Protestants run to in this debate. We are VERY FAMILIAR with it. Bit, if you will think for a moment about what it means that Jesus is the "one mediator", I think you will realize how pointless it is to bring this verse to the table. Jesus is the "one mediator" in the sense that he was the only one who could reconcile man with God. But, the saints aren't even trying to do that! They are just praying for us (like your brothers do) and we are just asking for their prayers (like you do)! The verse doesn't even apply to what we are discussing. The only reason you used it was b/c you see the saints as "mediators", but the verse itself is affirming a perogative of Jesus that I have not once claimed for the saints. See what I mean? If the saints are "mediators", it is no more than your brother is a "mediator" whenever he prays for you. For some reason I keep forgetting to post the DWDS. I'm sorry about that. Here are the selections for yesterday and today. The Church: Two Bodies, or One? Re: prayign to the saints - had argument earlier with someone saying that the body of Christ is not united with itself either between earth an heaven or earth-to-earth. Woudl desire help on that one. 1 Cor 10:17 Because there is one bread, we who are many are one body, for we all partake of the one bread. 1 Cor 12:12-13,20 For just as the body is one and has many members, and all the members of the body, though many, are one body, so it is with Christ. 13 For by one Spirit we were all baptized into one body--Jews or Greeks, slaves or free--and all were made to drink of one Spirit. 20 As it is, there are many parts, yet one body. Surely he would not deny that the saints in heaven are members of the Body of Christ. But, he also would not deny that the saints on earth are a part of that Body. If he asserts that these two are not united, then the only logical conclusion is that there are two bodies of Christ, in direct contradiction to the passages provided above. Yet, in his world, the saints in heaven and on earth can be united to the Head but somehow not united to each other? How does that work? It just doesn't make sense, and it flies in the face of Scripture. James left a comment on my post about praying to the saints (consider that "Part 1") that I would like to address. He asks some good questions that deserve a response. Exactly, how do saints in heaven hear our prayers? Are they omniscient and omnipresent? Can one popular saint, for example Padre Pio, hear millions of prayers at the same time? If so, he would be God. I'm not exactly sure how the saints are able to hear all of our prayers, I just know that they can. It could be for a variety of reasons, and I go over a few of them here. But, ultimately, I think that how they are able to hear are prayers is not as important as the fact that they can. I realize that, for someone who is questioning this doctrine, the "how" is very important. Often times, it's difficult for us to believe something if we don't fully understand it first. 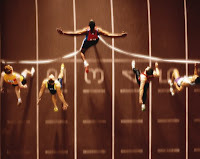 But, once understanding takes us as far as it can go, we must leave the rest up to faith. 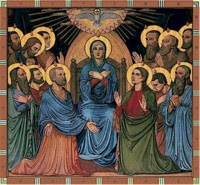 The Church teaches that we can pray to the saints, and has encouraged it since ancient times. That alone should suffice. If that weren't enough, the Bible shows that the saints in heaven are aware of our prayers, and praying to the saints is a perfectly logical thing to do, considering the syllogism that I provided in my previous post, and the absense of anything in Scripture that speaks against it. As for whether or not saints become God once we attribute to them the ability to hear our prayers, I would say, first of all, that God is much more than his omniscience (his "all-knowing") and his omnipresence (his presence everywhere). Even if the saints did have these characteristics, perhaps b/c of their profound union with Christ, this would not then make them God. For example, they don't suddenly become the First Cause of all things and the Unmoved Mover just b/c they are aware of all of our prayers. Plus, I don't even think it's necessary that they know all things or be present in every place in order to hear our prayers. Really, all that seems to be required is that they be united to Christ, and in a place where prayers ascend like incense (cf. Psa 141:2; Rev 5:8; 8:3-4). I can ask my friend in England where I live to pray for me as I prepare for an exam. I can ask you in America to do the same, through the internet. But someone in Sydney, Australia who does not know me, cannot hear my request or know I am preparing for an exam can only make a general prayer "for anyone sitting an exam" because they are not omnipresent or omniscient. Well, I hope what I've said here helps a little. The earlier blog post I linked to may also help, since it provides a few explanations for how it could be that the saints are able to hear our prayers. Yes, but angels are saints. 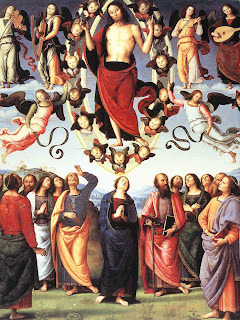 All of the inhabitants of heaven, the angels and the souls of the righteous, are called saints. They are all spirits without a body standing before the Face of God. There's no reason to believe that the saints would not be just as able to hear our prayers as the angels are. Here is this week's poll question: "Do you pray to the saints? If not, why not?" If you don't care, please leave a comment on this post if you answered no (you can also click the link below the poll, in my sidebar). I would like to allay any fears that you all may have in regard to praying to the saints. My current debate on this topic somewhat saddens me b/c it basically means that millions of non-Catholic Christians have no notion (or at least an inferior notion) of what it means to be a member of the mystical Body of Christ. Even though Jesus conquered death and the saints in heaven experience membership in the Body to the fullest extent imaginable, protestants fight tooth and nail for a total separation between the saints in heaven and the saints on earth, to the disparagement of all the good and holy men and women who came before us. And I guess it makes sense. "Communion" is difficult to esteem when your rule of faith (sola scriptura) encourages division, and praying to saints is difficult to accept when that same rule of faith causes you to make unrealistic demands upon Scripture before you will believe something. 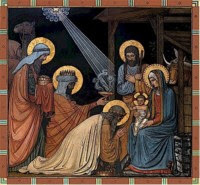 It's a gift from God to be able to ask those who behold the unmediated face of God to pray for us. Who better to pray for us than these holy saints? I wish more protestants knew what they were missing, and I wish I knew better how to create within them that knowledge. If you are a Catholic who has always felt a little hesitant when it came to praying to the saints, do not allow yourself to be scandalized by the protestant objections. Whenever I first got into apologetics and I became familiar with the arguments against what Catholics do, I found myself being more particular about my wording when I would pray to the saints. I would never petition them directly, for fear that I would give God the impression that I was turning the saints into idols. But this is ludicrous. Do not be afraid. Praying to the saints is a good and holy practice. The saints are powerful. They can console us, and there is nothing wrong with asking them directly for their aid. Technically speaking, we know that they aid us by praying for us, and that all aid ultimately comes from God. But, when we petition them, they become instrumental in the graces we receive. In other words, God is the first cause, but they too are a cause, the instrumental cause. God uses them, as his instruments, to help us in a whole host of ways. Because of the causlity that can be rightly attributed to them, we can pray to them, ask them directly for things, and attribute consolation, and protection, and guidance, and similar benefits to them. This does not detract from the sole mediatorship of Christ. This does not turn the saints into idols. This does not make them gods. This is certainly not communication with the dead (what an insult to the saints!!). The saints are alive in Christ, and it's absurd to think that you can ask a sinful member of the Body, someone still journeying to Christ, to pray for you but you can't ask the perfectly holy souls in heaven who have already received the Trinitarian God in all His fullness. Praying to them simply affirms the oneness and unity of the Body of Christ, and the work that Jesus Christ has done in their lives to maintain their connection with us beyond the grave. "O death, where is thy victory? O death, where is thy sting?" For all the ammo you could ever need, go here. You all know your Tolkien ;) I expected nothing less :D For more on the man, the myth, the legend, go here. Several times during the day, but especially in the morning and evening, ask yourself for a moment if you have your soul in your hands or if some passion or fit of anxiety has robbed you of it. Consider whether you have command of your heart or whether it has slipped into some disorderly passion of love, hatred, envy, covetousness, fear, uneasiness or joy. If you have gone astray, quietly bring your soul back to the presence of God, subjecting all your affections and desires to the obedience and direction of His Divine Will. Just as men who are afraid of losing a precious pearl hold it firmly in their hands, so we must keep a close watch on the precious pearl of our soul. I must say to you sincerely that it is necessary for everyone to stand firm in his or her state of life. All of us should remain willingly in the ship in which we find ourselves, and so cross from this life into the next. True, often we have not been put there by the hand of God, but by man. Now, however, God wants us to remain there, and out of love for Him we should stay there willingly. Where our election is to a minor state, our submission to the Divine Will should be greater. Say often with all your heart, "Yes, my God, I want to be where I am because it has pleased You that this is so." For some odd reason, the site still accepts votes, even though voting is supposed to be over. It's actually kinda frustrating b/c no one knows for sure how it actually panned out. I think I ended up in 21st or 22nd place, and I have no clue who won the whole thing. It was definitely one of the three I mentioned in my last post, but I guess we won't know for sure until November 10, when they announce the official results. Kinda stupid if you ask me. I mean, how hard is it to just close the voting? Call the game already! Anyway, thanks again everyone for your loyalty to and appreciation of this blog. It really means a lot to me. Voting ends in 2 hrs and I'm only TWO VOTES away from 20th place! Register and vote for me before it's too late! Also, the top 3 spots in the "Best Religion Category" have been juggling around all day. It's been pretty neat to watch. I have a feeling it's gonna come down to the very last seconds. The first two are Catholic and the third is Anglican. The vast majority of the blogs in this category are Catholic, which I think has been great for increasing exposure to our faith. They have all been good, orthodox blogs too. 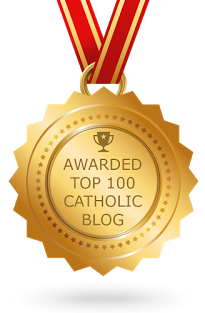 It would be sweet to see a Catholic blog win, so while you're voting for me, don't forget to vote for one (or both) of the Catholic blogs at the top as well. I can't wait to see how this finally pans out. I'll keep you posted (assuming that there's people out there who actually care as much as I do, haha). The complaint is often made that, since there is no command in Scripture for us to pray to the saints, there is thus no biblical warrant for such a practice. But, we do a lot of things as Christians, not b/c there is an explicit command to do so, but b/c they logically follow from what we believe. For example, there is no verse that says, "You must protest outside of an abortion clinic" or "You must vote for a pro-life politician," but we do these things anyway b/c they follow from what we believe (and what the Bible teaches) about the gift of life and the dignity of the human person. Therefore, we can ask for their prayers (which is what we do when we pray to them) and they can pray for us, just like any other member of the Body. Now, to anticipate a possible objection, it could be said that, even though the saints in heaven are members of the body, b/c they are in heaven and not on earth we cannot speak to them. I would ask in reply: How can two groups (the saints in heaven and the saints on earth) be connected to the Head, but not also connected to each other? There is no verse in scripture that says that the saints in heaven have been cut off from the saints on earth. Such a division in the Body is totally arbitrary. Scripture tells us that the members of the Body, in their connection to the head, are also connected to each other (see 3b above). If we aren't, if we are divided so that there is the Body of Christ in heaven and the Body of Christ on earth, then that means Christ has two bodies. But, Scripture tells us that we are all united in one body (cf. Rom 12:4-5; 1 Cor 10:17; 12:12-13,20; Eph 4:4; Col 3:15). That union is what allows me to bring my concerns to the saints in heaven in the same way that I am able to bring my concerns to my Christian brothers and sisters on earth. This, along with the verses that show their awareness of our actions (cf. Psa 34:7; Mt 18:10; Lk 15:7-10; 1 Cor 4:9; Heb 12:1) and their intercessory role (cf. Job 33:23-24; Jer 15:1; Zech 1:12-13; Heb 1:13-14; Rev 5:8; 6:9-11; 8:3-4), proves that the saints in heaven do in fact hear our prayers and that a communication can exist between the saints in heaven and the saints on earth. So, there is nothing to prevent the premises above from reaching their logical conclusion. What all of this shows is that praying to the saints follows naturally from what Catholics believe (and what the Bible teaches) about the Body of Christ. The only way you can say that I have not defended the conclusion is to refute one of my premises. That is your task.........not to demand from me that I give you some explicit Scriptural command to pray to the saints. My countdown was messed up, but I fixed it, so it shows the accurate time now. Today is your last chance to register and vote for me in the 2007 Bloggers' Choice Awards. Voting ends tonight at 11:55pm. I've been really amazed by the number of people who have voted for me in this last week alone. I really appreciate it! 4 more votes and I'll be in 21st place in the "Best Religion Blog" category (out of 874 blogs!). I'm totally happy with that. I am sorry for being so absent-minded with the DWDS these last few days. For some reason, I simply forgot all about it. To catch us back up, here are the entries for Wed., Thurs., and today. I don't have very much to post for today, but I do want to let you all know about two cool websites I found recently. In January of this year, I stood before my fellow CHRP brothers at St. Isaacs Jogues parish and gave a witness on Christian renewal. Quoting Romans 12:6-8, I vowed to use my talents and skills to aid the Church and evangelize Catholic faith. LoveToBeCatholic.com is the first step in the fulfillment of that promise. -- LoveToBeCatholic.com is run by Catholici Sumus, a non-profit organization whose mission is to utilize new media and the Internet to help evangelize the Catholic faith. -- LoveToBeCatholic.com enables users to watch, share and comment on Catholic videos. Videos can be shared privately with friends/family or publicly with just about anyone! -- Unlike other video web sites, we monitor content to assure that videos reflect true Catholic teaching. Our goal is to provide a safe and entertaining place for people to access Catholic content on demand, 24/7. I am happy to meet with you in person or speak with on the phone to answer questions and share more information about our mission. I can be reached at thall@lovetobecatholic.com. Also, my cell phone is 312-371-1480. I can dig it. Also, LTBC.com sells these pretty cool bracelets that say "It's Cool to Be Catholic" in Latin on them. It looks like something that would be great to give your youth group or your Catholic club/organization. Make sure you check that out. The close up for each image has a green background, but you can get a shirt in just about any color. If you look at them on a white shirt, then the images look a lot better. Anyway, I think these designs are dope, and I just happened upon this dude's site. He doesn't even know I'm doin this, but I thought his stuff was cool so I thought I would pass it along. Check out those two sites and let me know what you think. Rev 2:6 Yet this you have, you hate the works of the Nicola'itans, which I also hate. Rev 2:14-15 But I have a few things against you: you have some there who hold the teaching of Balaam, who taught Balak to put a stumbling block before the sons of Israel, that they might eat food sacrificed to idols and practice immorality. 15 So you also have some who hold the teaching of the Nicola'itans. From a study of the etymology of the name of the group ("Nicolaitan" probably means "victory over the people") and influenced by their own antipathy towards a hierarchical structure in the Church, these fundamentalists are somehow, through an amazing exercise in twisted logic, able to conclude that Jesus, in revealing to John what he did in these two passages, is condemning Catholicism. It's pretty much one of the most baseless and laughable arguments against Catholicism that I have ever heard. Irregardless, "seal", one of my usual opponents over at HCR, tried to use this argument. What follows is my first response to him. This ended up launching us into a very long and drawn-out debate, which basically consists of him yelling and screaming and showing his obsession with hating Catholicism at all cost....and me simply repeating my position over and over b/c he's never able to catch it the first time around. Some of you may find that amusing, but I think the entire debate is stupid and just too long to post here in its entirety. If you are brave and tenacious enough to read the entire thing, just go here. I enter into the debate with post #12. There is no indication in Scripture that they believed that. Your only proof is the etymology of the name "Nicolaitan," but even this does not prove your case. The name could just as easily mean "victory of the people" or "victorious people." Also, Dr. John Lightfoot says that the name comes from the word (hlykn) , "Nicolah", "let us eat", which they often used to encourage each other to eat things offered to idols (below we shall see how prevalent is this understanding of their practices). Secondly, even if we do take it to mean "victory over the people" it does not follow from this that Jesus hated them b/c they believed in a hierarchical church. A group could be victorious over the people in a variety of ways. One way would be to successfully propagate a doctrine amongst them. This seems to be the meaning that is more in line with the actual Scripture passages regarding the Nicolaitans. Jamieson, Fausset, Brown, Commentary Critical and Explanatory on the Whole Bible (Rev 2:6): Michaelis' view is probable: Nicolaos (conqueror of the people) is the Greek version of Balaam, from Hebrew "Belang Am," "Destroyer of the people." Revelation abounds in such duplicate Hebrew and Greek names: as Apollyon, Abaddon: Devil, Satan: Yea (Greek, "Nai"), Amen. The name, like other names, Egypt, Babylon, Sodom, is symbolic. Compare Revelation 2:14,15, which shows the true sense of Nicolaitanes; they are not a sect, but professing Christians who, like Balaam of old. tried to introduce into the Church a false freedom, that is, licentiousness; this was a reaction in the opposite direction from Judaism, the first danger to the Church combated in the council of Jerusalem, and by Paul in the Epistle to Galatians. These symbolical Nicolaitanes, or followers of Balaam, abused Paul's doctrine of the grace of God into a plea for lasciviousness (2 Peter 2:15,16,19, Jude 1:4,11 who both describe the same sort of seducers as followers of Balaam). People's New Testament (Rev 2:6): Opinions are not agreed concerning this sect, but it is probable that the followers of a Nicolaus are meant who taught that Christian liberty meant license to commit sensual sins. Robertson's Word Pictures of the New Testament (Rev 2:6): It is even possible that the Balaamites of verse Acts 14 were a variety of this same sect (verse Acts 15). John Wesley, Explanatory Notes on the Whole Bible (Rev 2:6): They allowed the most abominable lewdness and adulteries, as well as sacrificing to idols; all which they placed among things indifferent, and pleaded for as branches of Christian liberty. Easton's Bible Dictionary ("Nicolaitanes"): They were seemingly a class of professing Christians, who sought to introduce into the church a false freedom or licentiousness, thus abusing Paul's doctrine of grace (Compare 2 Peter 2:15,16,19), and were probably identical with those who held the doctrine of Baalam (q.v. ), Revelation 2:14. Barne's New Testament Notes (Rev 2:6): It is generally agreed, among the writers of antiquity who have mentioned them, that they were distinguished for holding opinions which countenanced gross social indulgences. This is all that is really necessary to be known in regard to the passage before us, for this will explain the strong language of aversion and condemnation used by the Saviour respecting the sect in the epistles to the churches of Ephesus and Pergamos. Adam Clarke, Commentary on the Bible (Rev 2:6): The Nicolaitanes taught the community of wives, that adultery and fornication were things indifferent, that eating meats offered to idols was quite lawful; and mixed several pagan rites with the Christian ceremonies. Merrill C. Tenney, Interpreting Revelation (Rev 2:6): The teaching of the Nicolaitans was an exaggeration of the doctrine of Christian liberty which attempted an ethical compromise with heathenism. Richard Chenevix Trench gives the most exhaustive treatment of the Nicolaitans (go here and scroll down to vs. 6), and his conclusion is one of agreement with what I have presented here. Derek Thomas, Revelation Archive Index (Rev 2:15): The particular false teaching making the rounds in Pergamum was known as the teaching of Balaam (2:14), and the teaching of the Nicolaitans (2:15). A single error is meant by these two descriptions. What it was can be ascertained by recalling the story of Balaam in the Old Testament. [. . .] It is an age-old error: that the liberty we know in our relationship with God is a license to sin. John Piper, Revelation Sermon Manuscripts (Rev 2:15): So now we see what this Nicolaitan stuff is: it's a teaching that somehow encourages idolatry and sexual immorality. Some in the church were promoting this, even while others were laying their lives down for the gospel. John MacArthur, Falling Out of Love with Jesus (Rev 2:6): The Nicolaitans were a group of heretics who also became involved in the church at Pergamum. It is very possible that they showed up in many places. 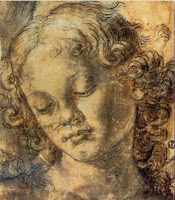 One of the deacons initiated in Acts 6 was named Nicolas. As best as can be determined, Nicolas became a heretic. He pushed liberty to an extreme and his sect was characterized by extreme indulgence and uncleanness. Some people have said that Nicolas started the heresy; others have said that Nicolas made a statement that some people misinterpreted and used as the basis of their cult. Clement of Alexandria, who lived during that time, said that the Nicolaitans "abandon themselves to pleasure like goats...leading a life of self-indulgence" (The Miscellanies 2:20). They replaced liberty with license and perverted grace (Gal. 5:13). Herman Hoeksema, Behold He Commeth (Rev 2:12-17): In the text these Nicolaitanes are compared to that wicked Balaam of the Old Testament, who offended the people of God. It is not impossible that these Nicolaitanes were antinomians, people who deliberately taught that it mattered not how the Christian lived here upon earth since Christ fulfilled the law and the old Adam was doomed to destruction anyway. They were not very scrupulous as to their own lives. They would feast with the heathen and eat of their sacrifices. In a word, they were a class of .people that threatened by their doctrine and life to obliterate the distinction between the church and the world in Pergamos, even as the counsel of Balaam was calculated to wipe out the characteristic difference between the people of Israel and the Moabites. Kim Riddlebarger, Sermons on the Book of Revelation (Rev 2:1-7,12-17): The teaching of the Nicolaitans is compared to two Old Testament figures, Balaam and Jezebel, who sought to lure Israel away from YHWH by tempting the people to adopt pagan practices in addition to worshiping YHWH. As it concerns the Ephesian congregation, either the false apostles were Nicolaitans–teaching that it is acceptable to worship Christ and pagan deities–or else, the Nicolaitans represented yet another threat in addition to that of false apostles. [. . .] Therefore, when we read in the New Testament that Jesus Christ threatens the church in Pergamum with the sword for tolerating the Nicolaitans, what provokes our Lord’s righteous ire must be false doctrine similar to that of Balaam. Sam Storms, The Seven Letters of Revelation (Rev 2:1-7): They were evidently licentious and antinomian and advocated an unhealthy compromise with pagan society and the idolatrous culture of Ephesus. It is most likely that the “teaching” of the Nicolaitans is identical with the “teaching” of Balaam (2:14-15). The similarity of language also suggests that Jezebel and her followers (2:20-24) constituted a group of Nicolaitans in Thyatira. They are all said to be guilty of enticing God’s people “to eat things sacrificed to idols” and “to commit acts of immorality” (2:14-15,20). That the works and the teaching of the Nicolaitans were like that of the Balaamites is a conclusion too numerous in Protestant biblical scholarship to simply dismiss b/c you happen to have a beef with hierarchical church structures. Many of these scholars probably share your beef, yet they did not read that into the text, as it appears that you have done. This is one of the main reasons they were hated by Christ. Matthew 23:8-11 "Be not ye called Rabbi: for one is your Master, even Christ; and all ye are brethren .... Neither be ye called masters: for one is your Master, even Christ. But he that is greatest among you shall be your servant,"
Jesus is not condemning the positions themselves but instead those who are in love with them, who pride themselves in holding these positions, and who forget that it is b/c God is Father, Teacher, Master, etc. that anyone is able to hold such positions on earth. We know this b/c Jesus tells us in just a few verses prior to the passage you have cited (cf. Mt 23:1-3) to respect the authority of the scribes and Pharisees who sit on Moses' seat. He would not have said this if he rejected positions of authority among the people. Also, if you look at the whole passage, instead of the parsed version of it that you have provided, you'll see that if Jesus is objecting to the positions of "rabbi" and "master" (or teacher/leader) then he is also objecting to the position of "father." But, we know from several places in Scripture (cf. Jn 8:56; Acts 4:25; 1 Cor 4:15; Jas 2:21; Philemon 1:10) that both Jesus and the apostles refer to men being "fathers" among the people. So, if we were to accept your logic, we would have Jesus rejecting the positions of "rabbi" and "master/teacher," but accepting the position of "father." That simply makes no sense whatsoever. If that weren't enough, we also see examples of a herarchical structure in the New Testament, whereever it mentions apostles (here), bishops (here), elders (here), priests (here), and deacons (here). It is true that the understanding of these positions was somewhat fluid in the NT church, but by the 2nd century, they started to take on a more definite form, as evidenced by early Christian witness (see here). Ignatius eh...Heck I believe them... Espicopal Gov't is overtly Heretical. Acts 1:20 For it is written in the book of Psalms, Let his habitation be desolate, and let no man dwell therein: and his bishoprick (episkope) let another take. Acts 20:28 Take heed therefore unto yourselves, and to all the flock, over the which the Holy Ghost hath made you overseers (episkopos), to feed the church of God, which he hath purchased with his own blood. A hiearchical structure is clearly present in the NT Church, and so Jesus cannot be said to be against such a structure, and the Nicolaitans cannot be said to be condemned for holding authoritative positions over the people.